The allure of gold as a store of value continues to grow stronger among people all over the world. Many people diversify their retirement savings into gold investments to safeguard it against the uncertainties of fiat money and stock assets which are tied to the paper currency. Of all the retirement accounts people use to prepare for life after active service, the gold-backed IRA is the plan which provides the most opportunities and flexibility to invest your retirement funds in gold assets and other precious metal products. In this article, we will be discussing what a gold-backed IRA is all about and the benefits it offers retirement planners. A Gold-backed IRA is an Individual Retirement Account which allows you to invest your retirement funds in gold, gold-affiliated stocks, and other precious metals such as silver, platinum, and palladium. 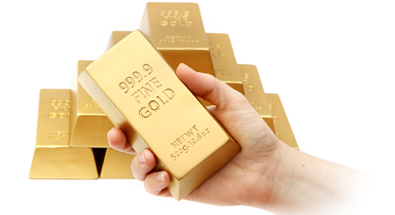 A gold-backed IRA is also known as a Precious Metals IRA or Self-Directed IRA. A gold-backed IRA gives you the freedom to invest in gold products including coins, bars, and bullion from selected mints in the US and other parts of the world. Unlike traditional IRAs which only allow investments in dollar-backed assets like stocks, bonds, and mutual funds, a gold-backed IRA enables you to use the funds in your retirement account to buy IRS-approved precious metals assets. 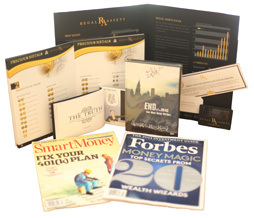 The Gold-backed IRA came about to allow retirement investors to include precious metal assets in their IRAs, allowing them more flexibility in diversifying their portfolios and helping to safeguard their savings from the uncertainties and risk of dollar-backed investments during times of economic turmoil or political crises or wars. A gold-backed IRA is called Self-directed IRA for a reason. As a holder of a Gold IRA, you have full control over the investment decisions regarding your retirement funds. What this means is that a gold-backed IRA allows you to choose the assets that you can include in your retirement portfolio, as long as it’s in line with the regulations of the IRS and other financial regulatory agencies. With your Gold IRA, you are only limited by the options which your custodian covers. Instead of relying on the IRA administrator to make all your investment decisions for you, a gold IRA gives you the driver’s seat; you make all the decisions, and the administrator only acts as an executor of your investment choices. This is one of the biggest advantages of a gold-backed IRA over traditional IRAs like the 401K and Roth IRA. However, this freedom can also be a two-edged sword. While it offers a great amount of flexibility, it can also be prone to errors. So, you have to be careful when making investment decisions because you are solely responsible for whatever happens to your retirement funds. This makes it vital to do your homework and if need be, hire a professional to advise you on investment options before buying assets with your gold IRA funds. 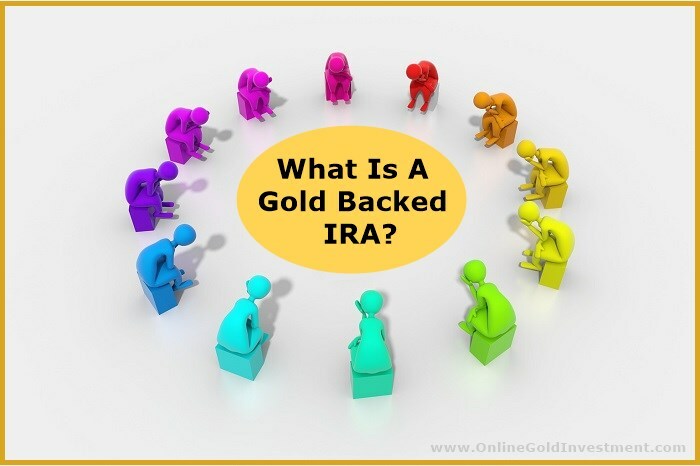 What Is Allowed In A Gold-backed IRA? A gold-backed IRA can hold precious metal assets and a wide range of options. A self-directed IRA can hold precious metals such as gold, silver, platinum, and palladium from IRS-approved mints in the US and abroad. 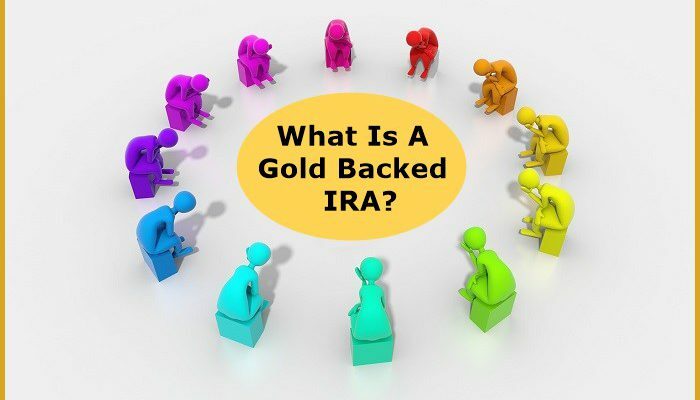 A gold-backed IRA can also hold gold-backed stocks including stocks of gold mining companies, precious metals mutual funds, precious metals commodity futures, gold-backed Exchange Traded Funds (ETAs), private equities, real estate, and other assets which a regular IRA does not support. 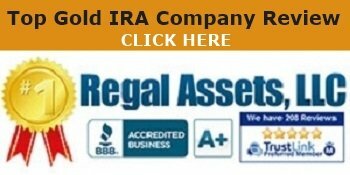 Like every other IRA, a gold-backed IRA requires a custodian. 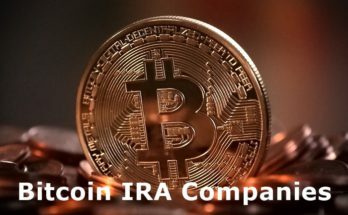 However, gold IRAs need specialized custodians because the administration of the account is more complex than the traditional IRAs due to the higher number of assets which can be held in the gold IRA. Gold-backed IRAs are offered by banks, brokerage firms, insurance companies, and other specialized financial services companies. 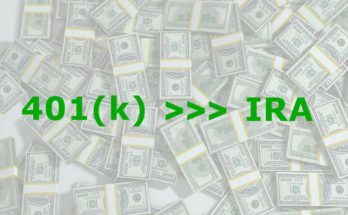 Note that the administration fees for a gold-backed IRA may be higher compared to that of 401Ks and Roth IRAs due to the complexities in its management. 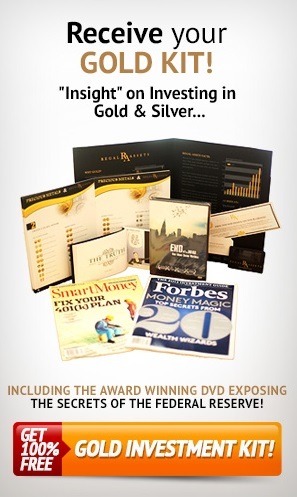 It’s essential that you do a lot of research before choosing any gold-IRA account provider. While there are hundreds of gold-IRA providers, many of them have ulterior motives but camouflage as professionals. Look out for signs of professionalism in their website design, the way they attend to customers, customer reviews, years of experience, administrative fees, disputes with customers, and others. It’s also important that you compare different companies before settling for one which offers the best service at an affordable rate. Also, check the investment options which the custodian allows in its gold-backed IRAs as your choice will be limited to what they offer. The IRS does not allow owners of gold-backed IRAs to have custody of physical gold or precious metal products which they buy with their gold IRA funds. Any precious metal you buy with your retirement funds must be kept in a safe deposit box at an IRS-approved third-party depository. You are going to pay for the safe keep as well. If your custodian doesn’t provide depository services, you have to look for one. When searching for a safe depository to keep your precious metals, look at their security, charges, safety records, customer services, insurance, as well as charges. It’s important to know that your retirement funds will be used to pay for the services of the custodian and safe depository. Choose carefully so that a reasonable amount of your investment goes into administrative costs. 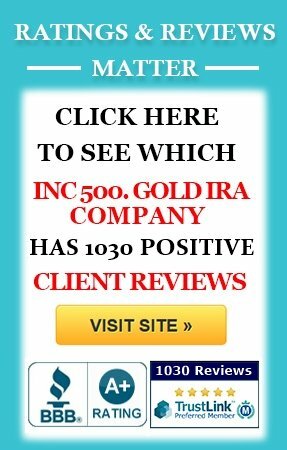 What Types Of Gold Product Can You Hold In A Gold-Backed IRA? While a gold-backed IRA can hold gold and other precious metal products, the IRS has strict rules on the precious metals you can add to the account. The IRS allows only gold products of 24 karats or 99.9 purity in the gold-backed IRA, except for the American Eagle coin which is a 22 karat gold coin. 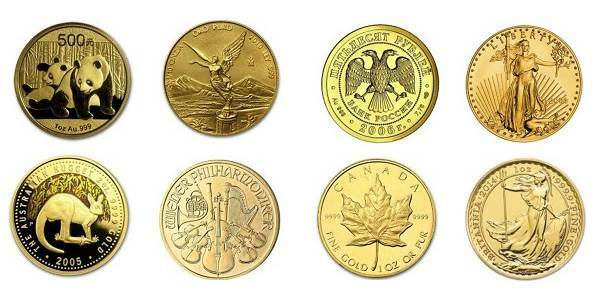 Gold coins, bars, and bullion, as well as silver, platinum, and palladium products that meet IRS standards from the US Treasury Mint and selected state and private mints such as Canada, Australia, Britain, China, Austria, South Africa, Mexico, can all be added to the gold IRA. Numismatic coins, i.e., collectables can’t be added into a gold IRA except for one. Chinese Gold Panda Coins and others can be held in the Gold IRA. Funding a gold-backed IRA can be done in three ways. The simplest way is to make annual contributions into the account until you attain the retirement age of 59 1/2. The IRS places restrictions on the amount you can contribute per year based on your age. The other methods are the rollover and the transfer. In a rollover, you are moving funds from another IRA plan such as a 401k or Roth IRA into your gold-IRA account. To do this, you fill out some paperwork which will be sent to your old custodian. The old custodian will then issue a check of the amount you intend to rollover, and you must deposit the funds in your Gold IRA on or before 60 days. You can do whatever you like with the funds within that period, but it loses its tax-exempt status after that, and you will also be penalized for early withdrawal. As for the transfer, you complete the paperwork to transfer your retirement funds from another plan like a traditional IRA to your gold-backed IRA. When your old custodian receives the paperwork, it transfers the funds directly to your gold-IRA custodian without you having any contact with the money. When you have funds in your gold-backed IRA, you can start investing all the assets which your gold-backed IRA custodian allows in your plan. To invest, you only have to choose the assets, and your custodian will buy them. However, it’s important to ensure that you don’t flout any tax or investment rules. Your IRA custodian will not offer any investment or legal advice, so it’s up to you to adhere strictly by IRS regulations. You can hire a financial adviser and tax lawyer to guide you whenever you are not sure of what to do. 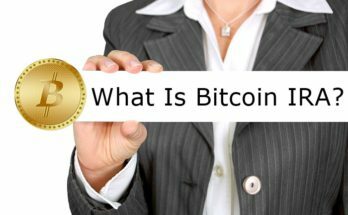 Previous Article What Is A Physical Gold IRA?